Thusdays stock market correction, that saw the Dow Jones Industrial Average drop 7% down -800 points, also saw crypto markets decline rapidly, with Bitcoin down -5.5% and Ethereum digging lower, taking a -16% hit to test support at levels not seen since July of last year. Yesterday the congress testimony on cryptocurrency hearing that featured Economist Dr Nouriel Roubini an outspoken critic of Bitcoin, whom harbours a view that blockchain technology is the 'mother of all scams', 'over-hyped' and a 'pointless database' that is 'used only by criminals, terrorists and money launderers' was quick to describe Bitcoin in a negative light as he has been well known to on twitter. 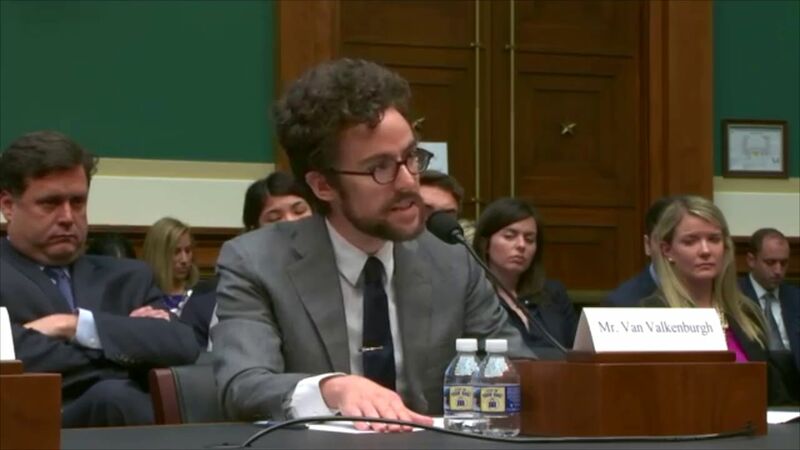 Sitting to the side of Roubini was Peter Van Valkenburgh, director of research at Washington based non-profit Coin Center, an organisation that lobbies for cryptocurrencies and innovators rights to use them. Mr Valkenburgh was able to articulate a much more concise description of the Blockchain and how remarkably resilient a decentralised network is. Mr Valkenburgh went further to state several real life cases of extreme negligence in the banking system, mentioning insider scams worth billions of dollars caused by vulnerabilities of conventional non-blockchain based finance, that rendered Roubini's previous arguments in quiet a different light. Roubini seemed determined to drive several rather questionable points, one being that blockchain technology is nothing but a glorified spreadsheet that is inefficient and is not being used widely. With currently 14,671 markets trading 2071 coins, in turn producing a daily volume of $13bln (according to coinmarketcap), I would ask Roubini to clearer define on what usage level cryptocurrencies need to reach in order to be deemed worthy of his consideration. Another part of Roubini's (aka Dr Doom) commonly recycled rhetoric, is that cryptocurrencies are in no way more secure or superior to our existing technology, offering no benefits and that our current status quo is doing just fine. With him getting caught on semantics, reiterating over and over regarding the definition of 'fin tech' and that the blockchain is just a database. 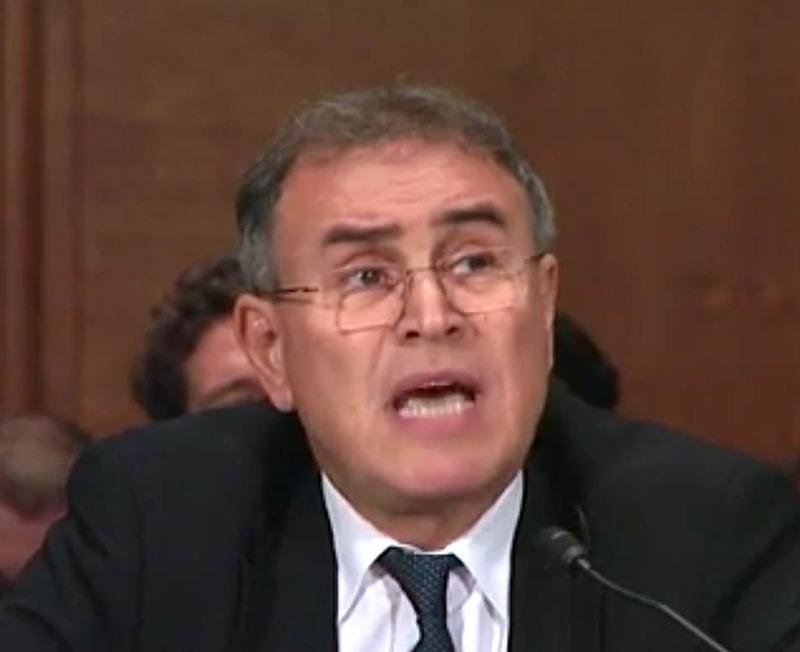 With Roubini being an economist, and not technically literate (especially in regards to cryptography) clearly he would understand the obvious school boy like mistakes in his remarks, that only undermine the developing cryptocurrency industry unfairly, in what does really sound like unfounded emotional driven bias. The San Francisco blockchain week just wrapped up, where big names, entrepreneurs, early adopters and enthusiasts met up to discuss many topics including Ethereum and Smart contracts, Privacy and Scalability. The event also included launches of several hackathons for Ethereum and Bitcoin cash, which may produce some interesting updates in coming weeks as developers sprint for the 10 BCH first place investment prize. As we head into the weekend, markets are flat sitting on support, with some coins showing gains. District 0x (ZRX) is up 18% buoyed by news of listing on Coinbase pro.